Fort Wayne Maker Inspires Live Welding At Maker Faires Worldwide! 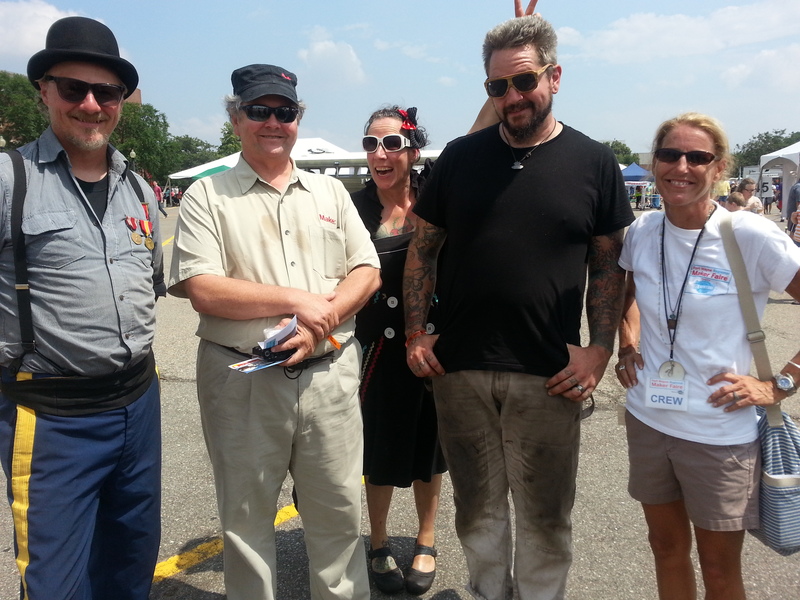 We had a blast at the Detroit Maker Faire this year! Thanks to the Henry Ford in Dearborn for being such great hosts. Their planning team is awesome. Maker Faire Fort Wayne event producer Jane Applegate joined by Perez, Dougherty, Esmerelda and Doyle. 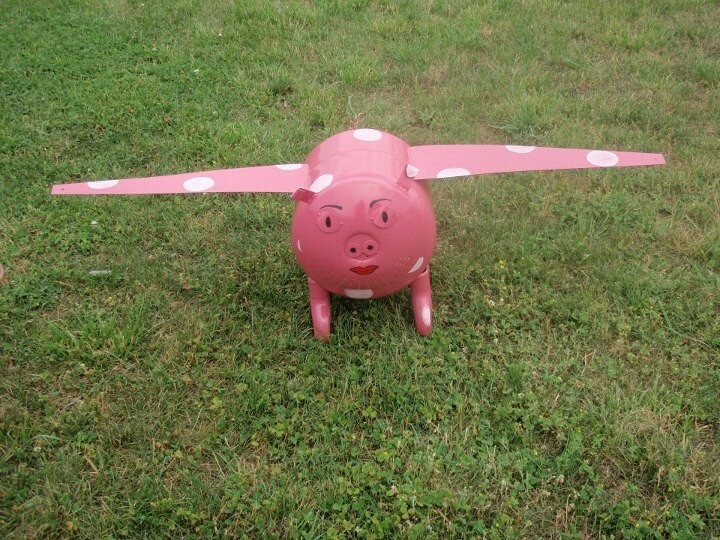 It was so exciting when professional welder and artist Jasmin Hartman of Black Sheep Welding (see Flying Pig photo) was introduced as manager of the Welding Arena at the Fort Wayne Faire. Dougherty asked her to write a story for Makezine to encourage more females to learn welding – plus we’ve now inspired live welding at Maker Faires globally of which there will be over 140 Faires in 2014.